2 Bedroom Flat For Sale in South Croydon for £499,000. Flat 7 is a two double bedroom apartment and both bedrooms have an ensuite and just off the hallway is separate W.C.. 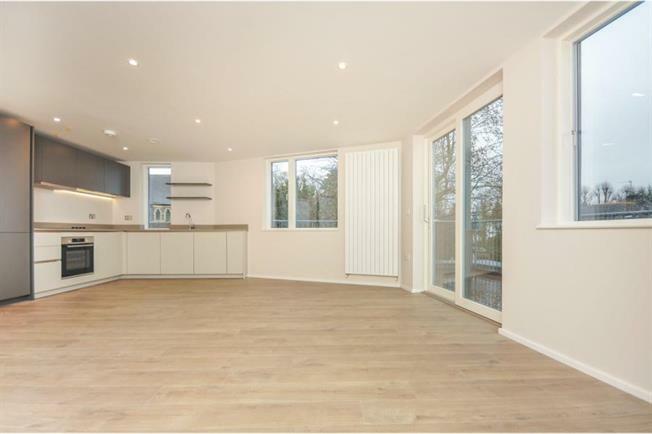 It has a large open planed kitchen dinner with the largest balcony overlooking the well designed communal gardens and views of Croham Hurst Woods. The property includes a parking space within the price. The stunning eight new flats at Chalkhurst Court have been architecturally designed to express individuality. No two flats are the same. Each flat is extremely light, spacious and contemporary with superior energy efficiency credentials. Outside storage is available for each apartment. Situated in a leafy residential neighbourhood close to the historic Croham Hurst Woods, Chalkhurst Court will provide easy access to Central Croydon, Box Park and the future Westfield development as well as local state and private schools. South Croydon and Sanderstead stations are within easy walking distance with London Victoria and London Bridge approximately 25 minutes travel time.